LOCATION.--Lat 40°40'30", long 74°13'19" referenced to North American Datum of 1983, Hillside Township, Union County, NJ, Hydrologic Unit 02030104, on left bank at Ursino Lake Dam in Elizabeth, 75 ft upstream from bridge on Trotters Lane and 3.8 mi upstream from mouth. PERIOD OF RECORD.--October 1921 to current year. Peak discharges from October 1922 through December 27, 1972, published as Elizabeth River at Elizabeth, NJ (station 01393500), located 85 ft upstream of bridge on Westfield Avenue, and 2,800 ft downstream of present gage, are considered equivalent at medium and high flows. REVISED RECORDS.--WSP 1552: Drainage area, 1922-23, 1927-29(M), 1932, 1933-34(M), 1938(P), 1942(M) 1944(P), 1945(M), 1948(P), 1952-53(M). WDR NJ-84-1: 1974. GAGE.--Water-stage recorder with telemetry, crest-stage gage, and two concrete weirs. The right concrete weir was lowered 5 ft on Dec 18, 1985. Datum of gage is NGVD of 1929 (levels by Corps of Engineers). 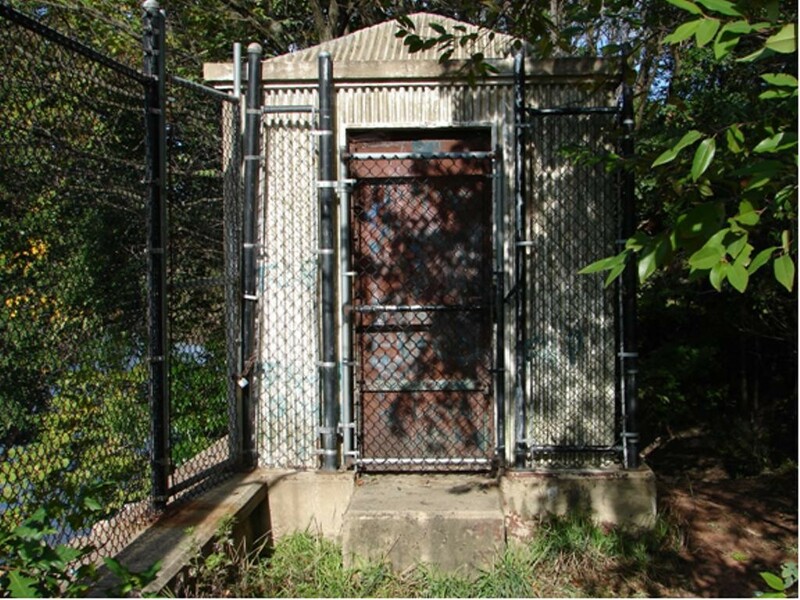 Prior to Oct 1, 1922, non-recording gage at site 2,800 ft downstream at datum 4.14 ft higher and Oct 1, 1922 to May 18, 1923, at same site at datum 5.23 ft higher. May 19, 1923 to Dec 27, 1972, at site 2,800 ft downstream at datum 5.23 ft higher and published as "Elizabeth River at Elizabeth" (station 01393500), drainage area 18.0 mi2. REMARKS.--Records good, except for discharges above 500 ft3/s and estimated discharges, which are fair. Discharges above 1,400 ft3/s from rating curve extension on basis of theoretical rating. Diversion by pumpage from Hammock Well Field in Union Township for municipal supply by New Jersey American Water Company (formerly Elizabethtown Water Company) probably reduces the flow past the station. Elizabethtown Water Company diverted water for municipal supply from Ursino Lake in Elizabeth prior to 1929. EXTREMES FOR PERIOD OF RECORD.--Maximum discharge, 6,260 ft3/s, Aug 28, 2011, gage height, 22.62 ft, maximum gage height of 25.77 ft, Aug 2, 1973 was recorded before the right weir was lowered 5 ft; minimum discharge, 0.0 ft3/s, Jul 14, 1922. PERIOD OF RECORD.--Water years 1973-97, 2000, 2003, 2005-08.